FREE MH/LT-6 Hoop Bender With This Purchase. Bender make a 6 ft wide hoop approx 30" tall. If taller sides are required simply additional straight to the bottom of the hoops using our 1/2" emt Coupler/Splicers. 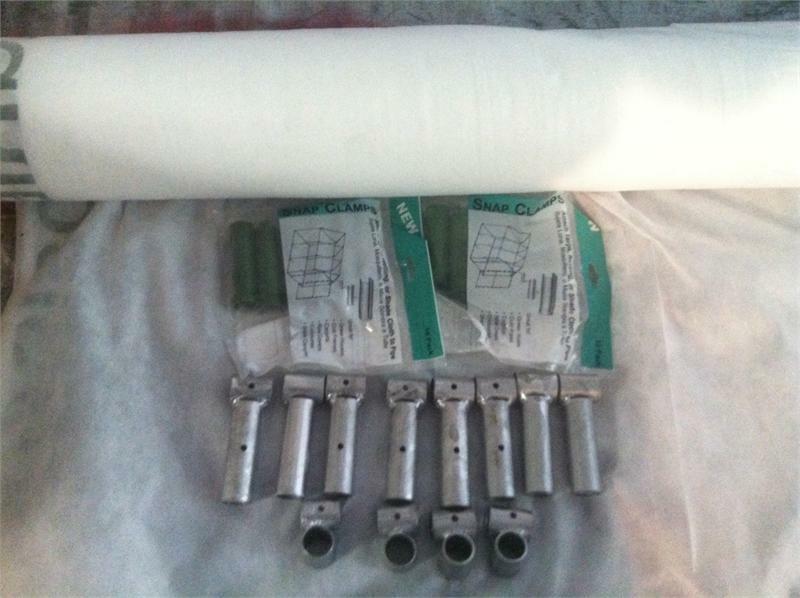 With this offer you get three of these complete connector kits to build the Portable Low Tunnel using 1/2" emt tubing. Builds the same Portable Low Tunnel as seen in Carol Coleman's Video Kit contains two each 10 packs of #10-G 1/2" snap clamps, four each perlin to hoop cross connectors, eight each 1/2" tees for hoop to base connections, and enough American Made (Dewitt Brand) .5 oz Frost covering to cover the Low Tunnel. All you need to purchase locally is seven 10 ft lengths of 1/2" emt (avg cost is $1.99 per 10' length) at any hardware store. The connectors are not predrilled, the holes shown in photo & video were pre-drilled as an example of where to start the self drilling screws which are included. Poly coverings are optional and sold separate if desired.